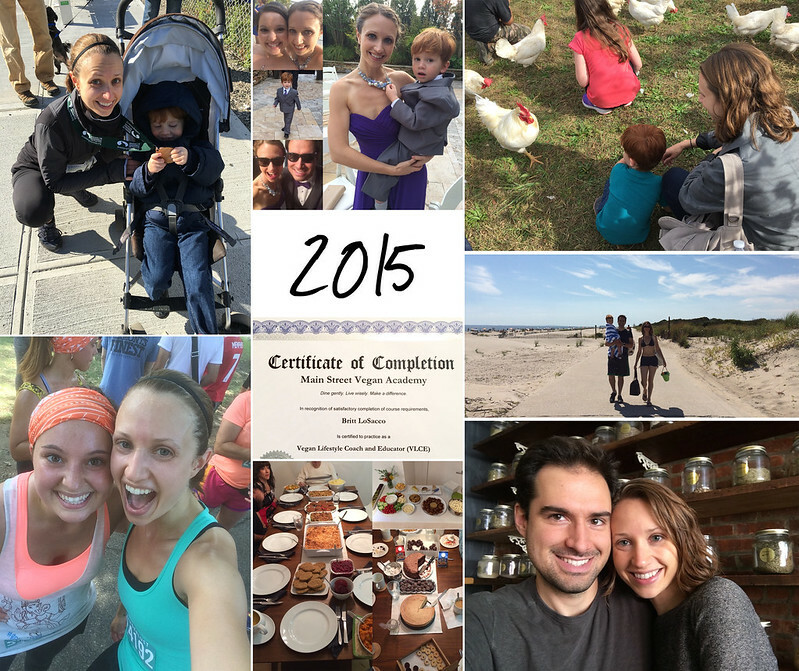 Last January I set myself a number of goals, things to work toward, throughout 2015. They weren’t things that I jumped into as soon as the calendar flipped, nor were they things that I set any definite plans for, but it was interesting to see how many of them came to fruition in one way or another throughout the course of the year. I’d like to do that again this year, to put my goals and intentions down so that I can make note of their progress in the back of my mind throughout the year and check back again in 2017. But before we get to the 2016 list, let’s look back at 2015’s goals and see how it all shook out. Read more books about veganism and plant-based nutrition. We watched a few documentaries that had been on our list—Peaceable Kingdom, Fat Sick and Nearly Dead 2, Live and Let Live—so some progress here. Live and Let Live is an especially powerful and informative film exploring veganism from all its many angles; I highly recommend it. Also, two brand new documentaries came out this past year, Unity (from the makers of Earthlings) and PlantPure Nation, which we didn’t get a chance to see because of limited release, but hopefully we can view them in the near future. Get back to bulk cooking. I was able to do this spottily this past year, and it was always nice. I’m back into a more regular meal-making routine in general, though, which is great, but it’s the convenience of bulk cooking that I miss. Something to continue working toward! Return to a regular yoga practice. This turned out to be a blessing in disguise, though, because it made me look again at the schedule for what I consider my “home” studio, the studio in our old neighborhood where I always felt such belonging. Their class schedule hadn’t changed, but my (i.e. Roman’s) schedule had so that I now saw possibility for me to attend classes there again—even though I’d have to hop on the subway to do so. I’ve been back “home” ever since, and it’s felt amazing. Take more time for myself. I feel really good about this one, though, like so many things in life, it is undoubtedly a work in progress. Roman started attending pre-school 3 days a week this fall (up from 2 previously), which has been helpful in this department, and he’ll start going for slightly longer days this week which will be nice I think. I also started running this summer in very casual preparation for the Wanderlust 108 Mindful Triathlon that my sister-in-law Amy and I did together, and it unexpectedly turned into a real love and commitment for me. In addition to the Wanderlust 108, I completed two 5Ks and a 4-mile race and am still going strong, working toward my first half marathon. Both running and yoga now feel like important “me time”. Perhaps the most important thing I started doing for myself last year was seeing a therapist. I hesitate to share that here, not because I’m ashamed of it or anything (God no, it’s been wonderful! Therapy FTW! ), but because I have a tiny fear inside of me about how some people might misconstrue that fact. But the truth is that I don’t have control over how others perceive my life, and just because someone interprets my life or actions one way, that doesn’t change the reality (yes—this is one of the many things my therapist and I are working on together!). Therapy has been so helpful in so many ways. I feel like I understand myself and my past and the people around me so much better, like I’m making peace with old ghosts, and like I am getting closer every day to more fully realizing who I am and who I have the potential to be. This past year was full of so much change and growth. It feels like a massive success, but not in any sort of final way. It feels like a successful shift toward better, brighter, bolder things, like foundations have been laid, gears set in motion. There is no destination, only forward movement with mile-markers of accomplishment along the way. And I’ve got to say, I feel good about the miles I crossed—both literally and figuratively—in 2015.